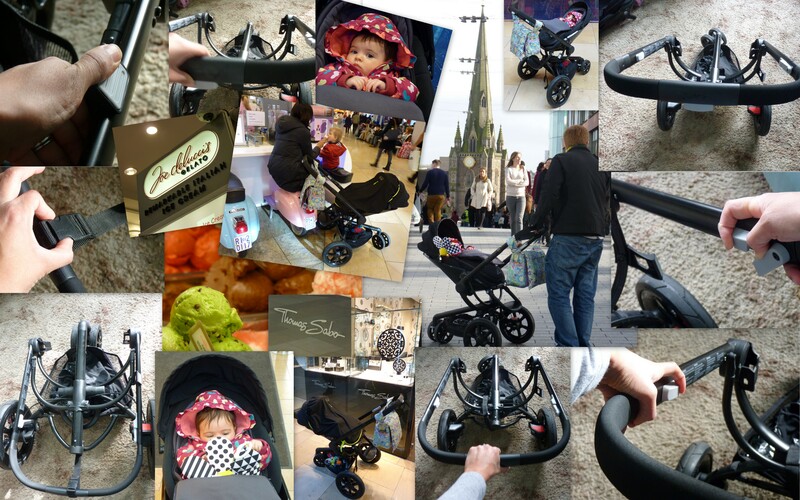 This is a montage of me, the Man, Baby Girl and the Boy on a day out putting the new Quinny Moodd to the test. 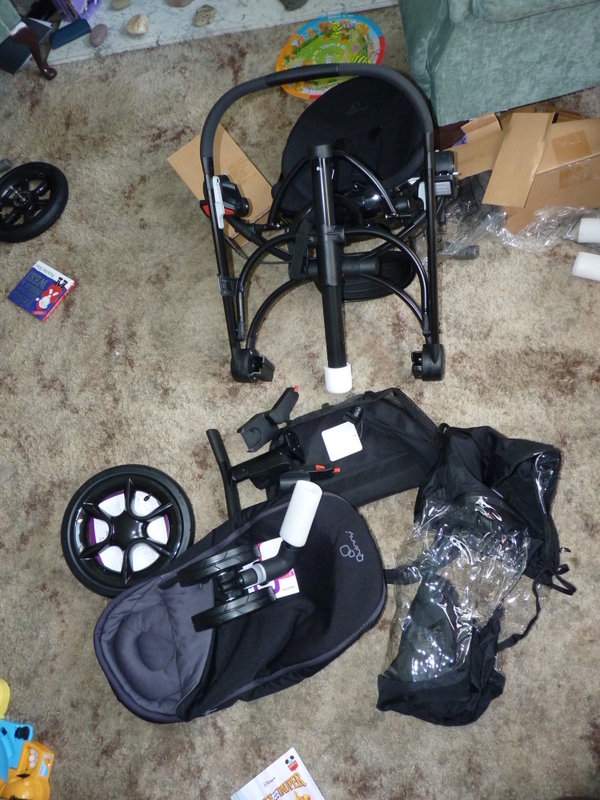 I will be publishing a full review of the buggy after thoroughly road testing it but for now here is a preview of a day in the life of a Quinny Moodd along with some shots which show how easy it is to construct (left hand side) and collapse (right hand side). Loving raspberries on her neck. Not quite able to giggle yet but I can see she is trying. More and more aware of the world and interested in everything. Being a cheeky madam whilst feeding and keeps pulling off to grin at me just to show me who’s boss. 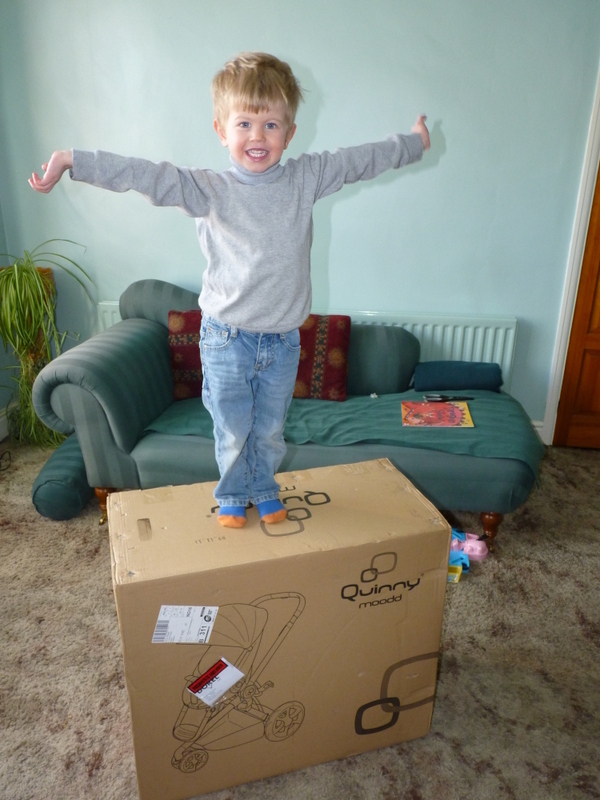 Driving me crazy by waking up anytime between 5.30am and 7.30am – there is a big difference! Very happy, chatty and smiley if she has a good nap, which thankfully now she usually does. Soft, warm and very very strokeable. Impatient and will not listen to reason. Losing her hair at the back where she rubs it in her sleep. Growing out of 0-3 month babygros. Able to melt my heart when I wake her up and she gives me this amazing smile which seems to be saying “wow, its you again and that makes me happy”. As a follow up to My Maternity Wardrobe posts last year I thought I would do one on breastfeeding. Drinking a hot cup of tea is a rare luxury. Going out without a bump or a baby is very ordinary, no one smiles at you.